Here’s a photo that may be a stage set for an Aladdin revival, an idealized Middle Eastern city. The caption in this 1920s postcard and the flags identifies it as Basra, Iraq, a city on the Shatt Al-Arab waterway that contains many canals within it, earning the nickname Venice of the East. I don’t expect to be visiting Basra during my lifetime, but I know that this postcard image dates to a more peaceful time in this storied city. From a 2003 U. S. government map, we see Basra’s remaining canals following its street grid, and a larger grid of parallel canals along the floodplain beyond the city. Although Iraq is an arid country, the network of rivers flowing down from the mountains have sustained the oldest civilization on earth. Between the rivers and within their floodplains, canals provided irrigation and transportation. The city comes to mind from an unrelated subject, Bava Basra, the longest tractate of the Babylonian Talmud. Containing a series of tort cases, it mentions canals as they pertain to ownership, their depth, width, and volume. The name Bava Basra (also spelled as Batra and Bathra) has nothing to do with Iraq’s southern city. It is Aramaic for Final Gate, as the third tractate in the Nezikin (Laws of Damages) series. Until the 1940s, it was still possible to find people in Iraq studying the Talmud, descendants of people who had it committed to writing between the third and fifth centuries. There is no Jewish community in Iraq today, but throughout the Jewish world the Daf Yomi (page a day) program continues to study these texts. Today, participants in Daf Yomi had completed their reading of Bava Basra. As a student, I thought of another Basra while reading this tractate. The Venice of Iraq. Basra was founded in the early years of Islam as a forward base of operations against the Persian Sassanid Empire. Its location just south of where the Tigris and Euphrates rivers merge into the Shatt Al-Arab, but north of its mouth at the Persian Gulf made it an important trading center. Looking at the Twitter account Old Iraqi Pictures, I found a few examples of Basra as it was before the Baathist regime transformed it through urban renewal and wholesale covering of streams in an effort to erase the culture of its indigenous Marsh Arabs. A 1914 image of Ashar Creek shows soldiers from British India entering the city after ousting the Ottoman Turks. Theirs was not to be a colonial regime but a League of Nations Mandate, intended to gradually release political power to local hands. A 1920 image of the same stream shows few people. Perhaps it was taken at dawn, or on a hot Ramadan day, when the fasting public avoids the heated outdoors. Another place to find photos of Basra’s canals from this period is the Gertrude Bell Archive, named after the British archeologist and advisor to Iraq’s first modern king. In November 2015, journalist Peter Schwartzstein took a photo of one canal in Basra showing that it will take a long time at great cost before Basra can again call itself the Venice of Iraq. He continues to write about the country’s waterways, most recently this past April in Foreign Affairs magazine, and last month in Newsweek. It is difficult to imagine the past when it is black and white or illustrated. Fortunately, there are a few rare color photos from 1950s Iraq that show the historic city and its canals in relatively good condition. Let these photos show that what once was could yet become. Other Venices: Conde Nast Traveller magazine has a photo essay of other cities across Asia that claim the title Venice of the East. 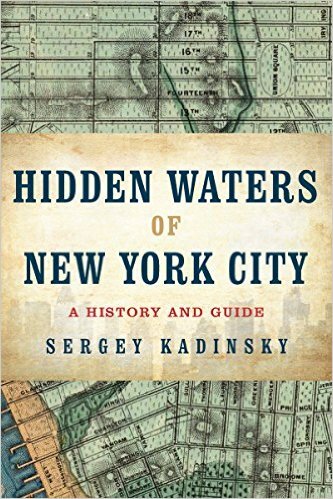 Each is worthy of its own Hidden Waters book, if I had only the means to visit all of them.